Hollywood Sauna shown above in optional Red Cedar. Click image above and thumbnails below for alternate views. BIGGEST SALE OF THE YEAR!!!! Tested to produce the most infrared energy within the desired spectrum for maximum absorption by your body. Large, thick Carbon Panels blanket the walls, front bench and floor areas giving you more surface area exposure than any other manufacturer which gives you MORE RESULTS in LESS TIME!! 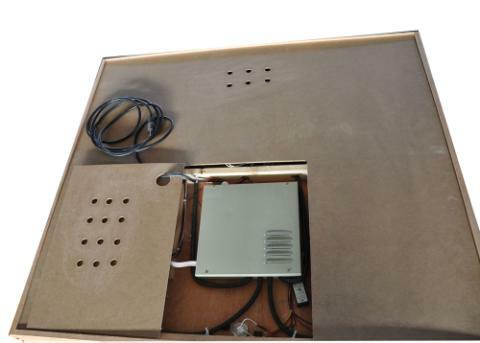 Our Zero EMF Rated Nano-Carbon Heaters are the safest, most efficient and cost effective method of detoxifying your whole body. They are clinically tested at 8-10 microns. What does this mean?...a deeper sweat! Our customers reported that they are now producing a full sweat in 5-10 minutes rather than 20-25 minutes. Sessions that used to take an hour, have now been cut down to 25 minutes. 4) Front Heaters as well as, back, sides, feet and calves. Easy to press and easy to clean. 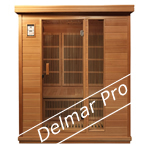 The same panel is both on the inside and outside of the sauna allowing you to adjust your sessions parameters without letting the heat out. 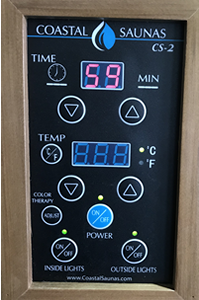 All of the new Greenwave Edition saunas now come a programmable timer option allowing you to have the sauna turn on up to 30 hours in the future. 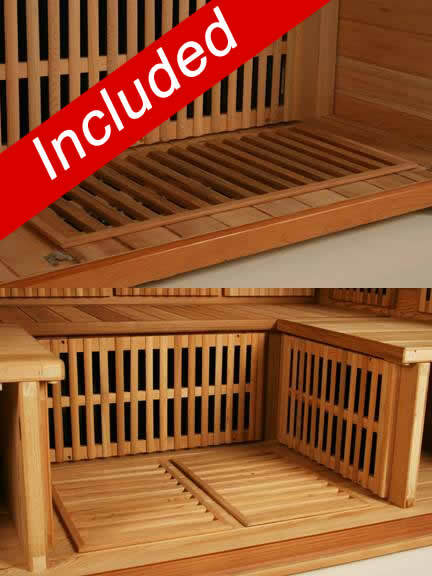 Most infrared sauna companies will screw or bolt the floor heaters to the sauna. 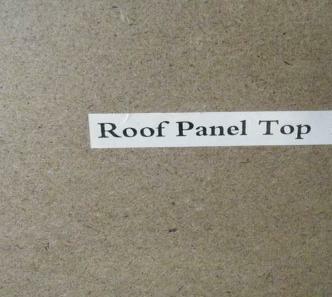 This means that you would have to unscrew the floor cover every time you wanted to wipe the heater down....not anymore! All our 2016 units now ship with "pop-up" removable floors for easy cleaning. A touch of elegance to your most prized possession. Can't stand to be away from your smart phone? The curved handle offers a great place to set it while keeping it from over-heating. Now LARGER AND BRIGHTER! This Chromotherapy Light gives you more diodes and seven different colors to choose from. Can't decide which color? View all the colors under the "rotation mode" until you see one that matches your chakra. 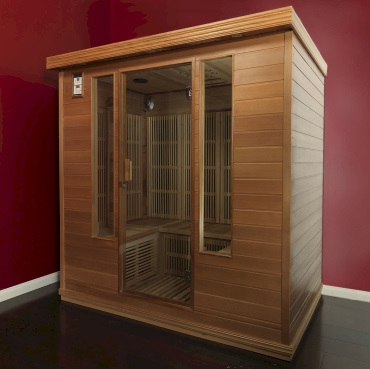 Read about the benefits of each color of light during your session with this "in sauna" reference sheet. With the press of a button, switch colors to treat different conditions. Outside lighting will set the mood for your relaxing session while showing off the fine grain of our 100% Canadian woods. Produced with energy efficient and long lasting LED bulbs. 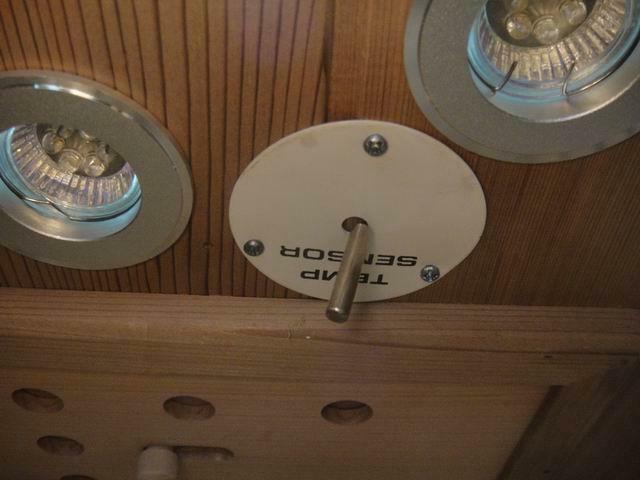 All of our saunas now come with dual reading lights, for the times when the 2 of you are enjoying your sauna together. These new lights are Halogen bulbs, which have proven to be less straining on your eyes than LED's. Our patented revolutionary backrests/heater covers allow the user to lean directly against any of the heaters without burning your back. These individually hand-crafted vertical wooden dowels align with your spine, and since infrared heat extends in the shape of a cone, absolutely zero heat is blocked. Further more since you aren't directly touching the heaters, we don't have to install fabric over the heaters like most companies do. You may read about this new design in more detail in the Buyer's Guide. Prefer the older design? No problem, we can make yours to order. 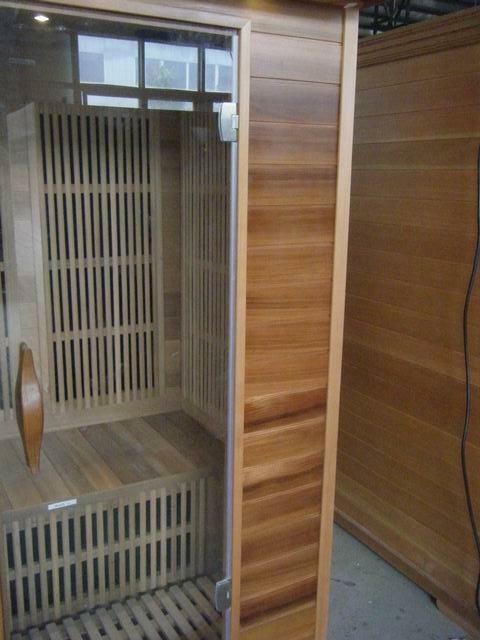 Take a refreshing drink into your infrared sauna while you sweat away the toxins. There's no better time to read than while relaxing in your infrared sauna. Handy and thoughtfully placed towel racks - inside the infrared sauna. Our new Ionizer now comes with 2 settings. 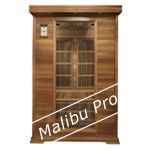 1) Releases negative ions to purify the air during your session. 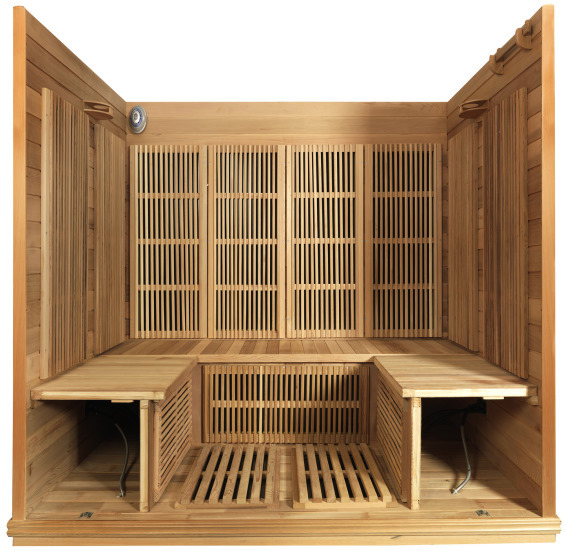 2) Choose the Ozone option to kill any harmful bacterial in your sauna that was released during your detox sessions. Note: Most customer's will run the Ozone weekly for 30 minutes while they are not using the sauna. Thicker glass for 2016 models! Your beautiful infrared sauna is now wrapped with gorgeous glass doors providing you with a chic look and a non-claustrophobic feeling. All glass in the sauna is tempered for safety. 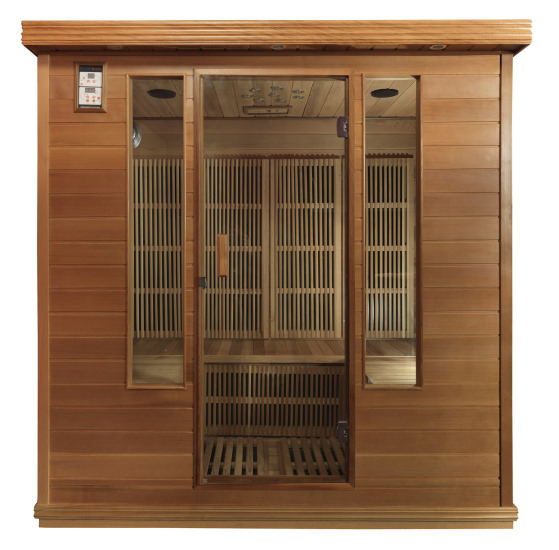 For 2016 all the sauna glass has a very light bronze tint for privacy and an elegant look. Special lock system provides easy installation and eliminates inferior outside clips or magnets which won't prevent future warping. Nothing is stronger than a BOLT. 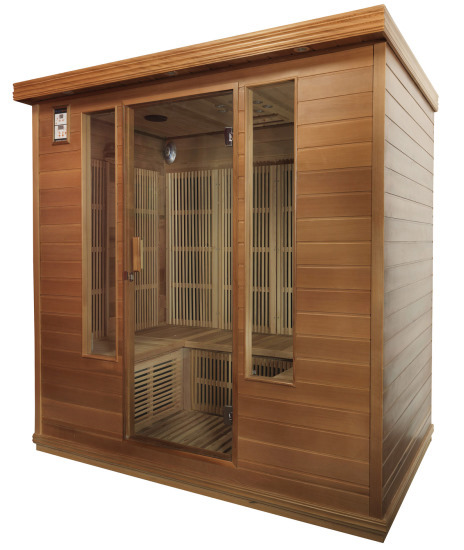 All 2016 saunas are now equipt with our PAS (positive airflow system). This system allows oxygen to circulate without letting the heat out. 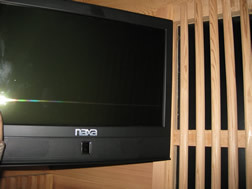 Pulls the glass door in against the felt strip for a tighter seal. All saunas now come with 2 magnets for a better seal. When you build a sauna with thicker glass, you need to use a stronger hinge. Not only are our hinges corrosion/rust resistant, but with a stronger grip you won't need to be constantly re-adjusting the door. Quality craftsmanship and attention to detail, tongue and grooves allow the wood to flex to prevent cracking. 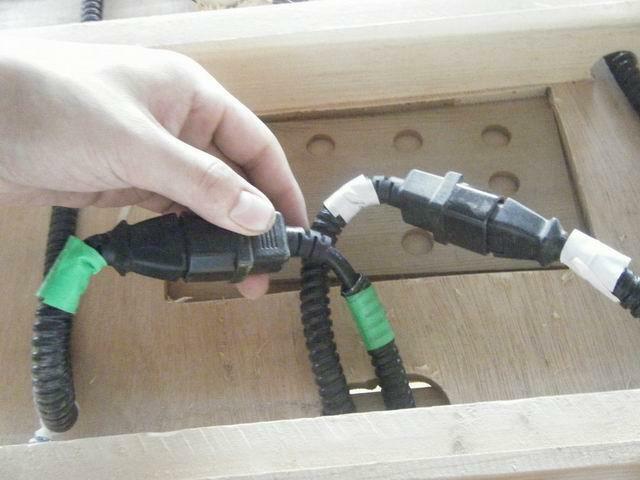 A 12 Volt plug-in comes standard in every sauna. Accepts any after-market electrical accessories ie: DVD player, computer, phone charger, aromatherapy diffuser and more. INCLUDED NEW! Bimetal HD ambient temperature sensor. This type of sensor will give you a more accurate reading than the outdated wire type. INCLUDED NEW! 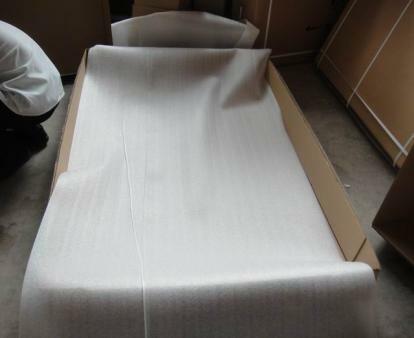 Improved Packing Material ensures that your new sauna arrives in mint condition! 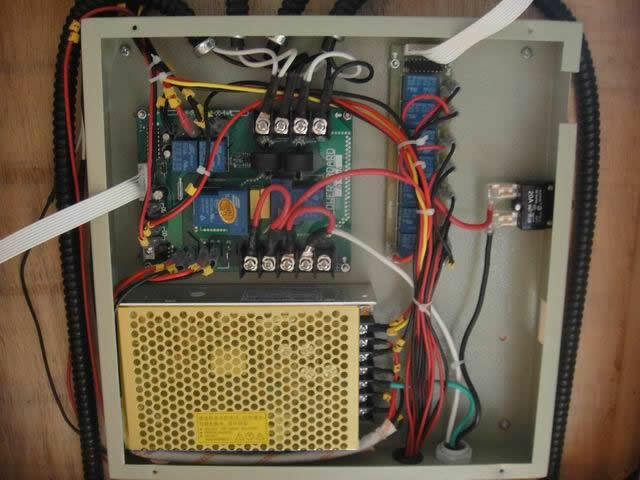 After 8 years and a lifetime warranty on each sauna, we discovered a flaw - The power supplies were starting to fail. What did we do about it - We now only carry the "Gold Select" Commercial Grade Power Supplies so that YOU don't have to have interrupted service! 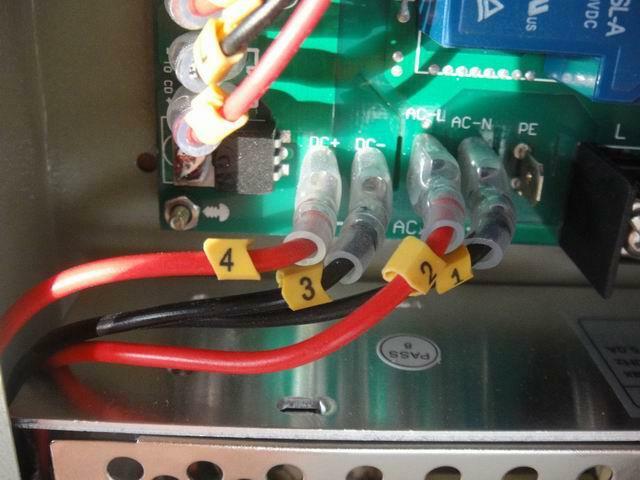 We also numbered the Power Box wires to improve service capability. Finally, on all of the new Greenwave Units we include Commercial grade wiring throughout for cooler service. 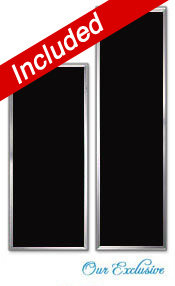 Have peace-of-mind against any mishaps with tempered glass doors in every unit. 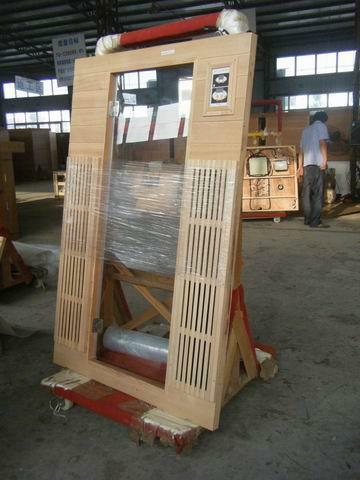 Working behind the scenes, this Electro-Magnetic-Frequency (EMF) shielding not only protects you from harmful EMF but protects the wires from directly touching the wood as well. PLEASE NOTE: THE COLOR OF CEDAR VARIES DEPENDING ON THE TREE. 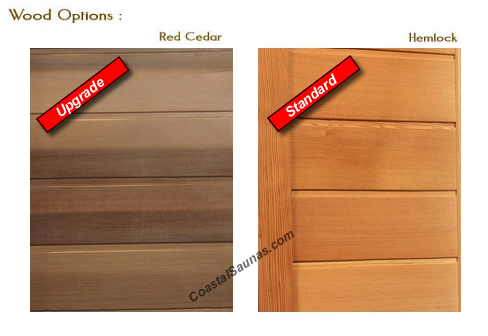 WE WILL GUARANTEE IT'S CEDAR IF YOU ORDER IT, BUT CAN'T GUARANTEE THE EXACT COLOR OF THE CEDAR TREE THAT WAS CUT. 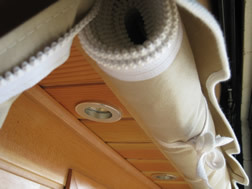 Our handmade Sunbrella Canvas covers are exclusively made for Coastal Saunas. They are brilliantly crafted with completely waterproof marine grade canvas, re-enforced tops to keep the water out, marine grade zippers, roll-up front door,roll-up tie-downs and a weather slot for the cord. Custom made for every model. 3" Hi-Density Foam, Sunbrella Canvas, Marine Grade Zipper for easy cleaning.